compromise which we love so much, we wanted to share it with others. ​to swim or just relax. drinks and snacks for our guests. are in the pool house. Listen to the waterfall and watch the fish as you dine on the patio or sit on the porch and rock your troubles away. Feel free to explore the ever changing gardens. Flowering shrubs and perennials bloom throughout the seasons. summer and snack on fresh beans or a warm tomato. Blackberries, raspberries and blueberries are natures snack foods. Help yourself to a taste. No pesticides are used in our organic gardens. 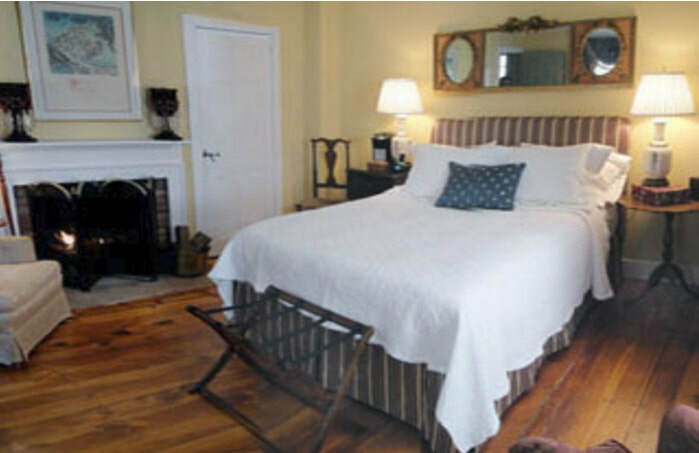 Named for it’s extensive use of natural linen, it is a bright and sunny room on the second floor. Comfortable seating and a table and chairs provide room for work and relaxation This room has a private bath with a shower and jetted tub combination. 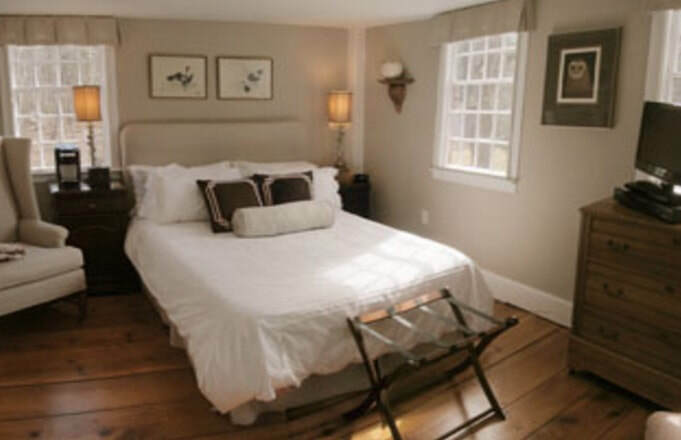 The Twin Room offers two twin beds with a private bath which has a jetted tub and shower combination. 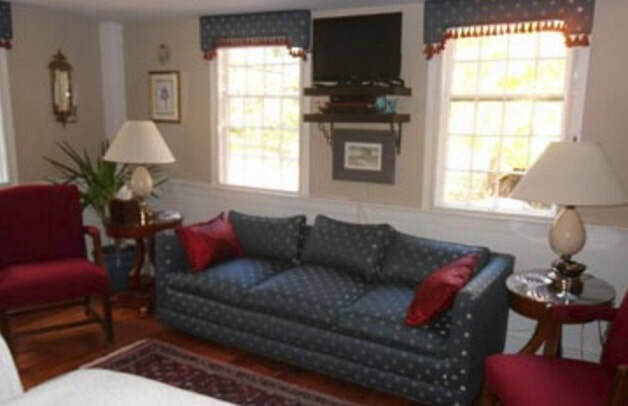 In addition to all of the standard amenities this room has a seating area consisting of a sofa and two chairs.